OLD PARKED CARS. 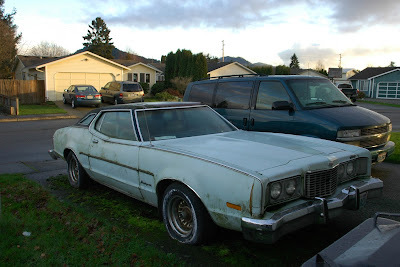 : 1974 Mercury Montego MX. Whoo... With un exterior like that I can just imagine how the plush interor looks like inside the moist car. Or maybe it's water tight and the interior is prestine?.. No, probably not. But that's not really the reason I made this comment, it's the Nova in the background. It looks like a runner parked on the curbside. Do the Nova next! I feel this represents the philosophical center of this blog. 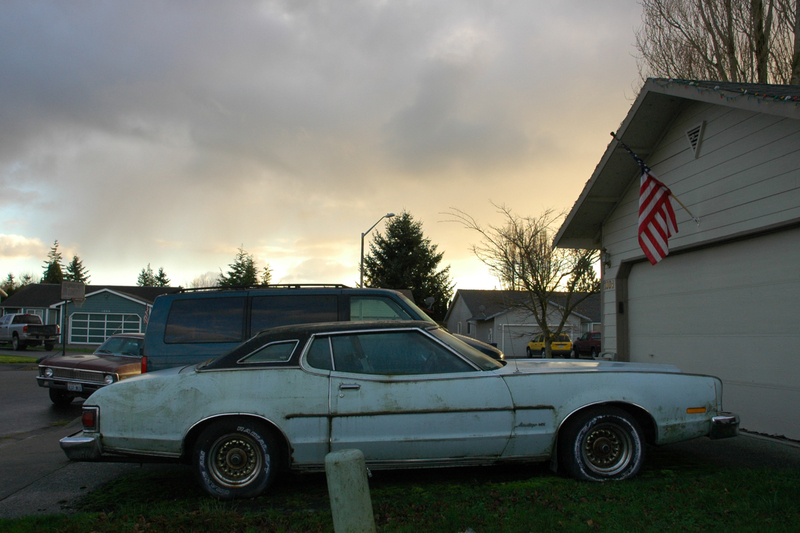 aging 70's Mercs tend to look menacing compared to their Ford cousins. That is one mean Montego. 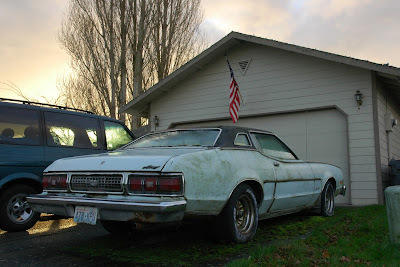 I had a 74 Montego! The straight six was hardly enough engine to move the damned thing.